How Do We Love Thee? Let Us Count The Giveaways! It’s been nearly a year since our last big giveaway event. 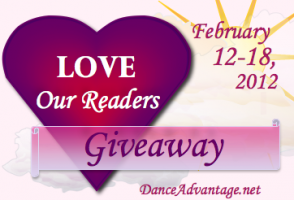 Because next week is Valentine’s Day, it seemed an especially appropriate time for showing and sharing the love with a LOVE Our Readers week of giveaways. 7 days, 7 great prizes. Don’t miss it! Maybe you remember our last (and first) big giveaway event in November. 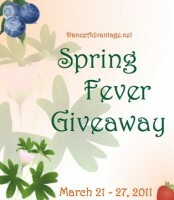 We’re set to go again, giving away more great prizes to Dance Advantage readers in our Spring Fever Giveaway! March 21-27, 2011. We’ve got you covered – your A-B-C’s and 1-2-3’s! 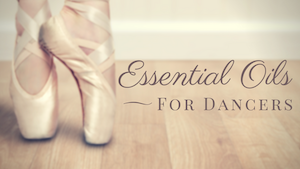 Wearables, gear to help you practice and improve, teaching and curriculum aids, and more!